$15 or more purchase required. Join to get 20% off your first purchase at Ulta Beauty and extra points. Carolina Herrera Good Girl fragrance collection - while quantities last. Select items, 50% off, just like that. Additional Urban Decay items are 30% off. FREE mini Dry Cleaner with any $20 Unwash purchase. Offer valid until 2/16/19 or while quantities last. Free mini Lasting Drama Liner while quantities last. Get a free item with any $35 Alterna purchase. Free mini Caviar Anti-Aging Replenishing Moisture Conditioner. Get a free duffle bag with any $89 large spray purchase. Headquartered in Bolingbrook, Illinois, Ulta Beauty is a chain of beauty stores. It was founded back in 1990 by Richard E George. Among the wide range of products it deals with include haircare and skincare products, makeup kits, cosmetics, and both men’s and women’s fragrances. Also, there is a salon in each of their stores. 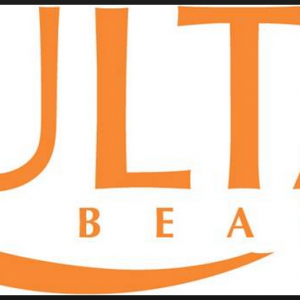 It was previously known as Ulta Salon, cosmetics and fragrance inc but in 2017 they changed their name to Ulta Beauty. As of 2018, Ulta Beauty operates a total of 1,124 stores across 49 states as well as the district Columbia. And, these stores have the same format which includes a salon area of 950 square feet with up to 10 stations. Among the stations are a booking desk, private shampoo and hair processing rooms, and a skin treatment room. It had a total of 24,200 employees in 2017 with total assets of 2.552 billion. Its revenue for the year was 4.855 billion and the net income was at 409.8 million. Its CEO is Mary Dillon. There is no better way to save while shopping at Ulta Beauty than using coupon codes. Follow these simple steps to use coupon codes. First off, you will obviously need to obtain the coupon code which you will use when checking out. As soon as you have your order total at the Ulta website, look for a text box(on the right side) where you will be required to enter the coupon code. NOTE: You will be required to enter the coupon code before entering your payment information. It is also possible to use these coupon codes when buying the products from the Ulta Beauty stores. Firstly, you will be required to print out the coupon and bring it up on the Groupon app and then take it to the cashier. If you are the type that shops frequently, you can subscribe using your email address to receive notifications every time a new coupon comes out. Coupon codes are not the only way you can save when purchasing products from Ulta Beauty. Read on to learn more about the different ways in which you can save when shopping from Ulta Beauty. If you are purchasing products that cost more than $50, instead of going to their stores you can ask them to ship it to you as they offer free shipping for purchases of not less than $50. This will, in turn, help you save on transportation costs. You can also sign up for ultimate rewards and get 5 times the standard number of points on particular products. You also receive sweet deals as well as invites to exclusive events. When signing up, you can submit your birthday to receive gifts from Ulta Beauty on your birthday and earn double points for all purchases made during your entire birthday month. Lastly, you can get an Ultimate Rewards Credit Card that will enable you to get up to 20% off on your next purchase. Use the following in case you want to get in touch with an Ulta Beauty employee. At Ulta Beaty, they understand that things happen and you might end up buying the wrong product. Therefore, they are dedicated to making this whole process quite simple for you. Below are just a few details in regard to their return policy. All original components must be present when returning. In case you lose your receipt, that won’t pose any challenges. Items purchased from other retailers other than Ulta Beauty are not eligible for a refund. Just take the product to any Ulta Beauty store and ask one of the employees to help you out. Products returned within 60 days of purchase will be fully refunded. If you are looking to exchange a product for a similar item, just bring it in and no payment is required. If you, however, would like to exchange a product for one with a higher price, you will have to pay the difference between the two prices. In the same way, if you exchange an item with one that has a lower price, the difference will be given back to you. These purchases can be returned either by mailing it to us or taking it to any Ulta Beauty stores. If you opt to bring it back to our stores, just bring the item accompanied with its original email order confirmation, packing slip and the rest of the original packaging material.